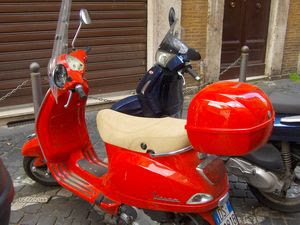 The first story of this blog travelers is about one of my favorite cities in the world Rome, Italy. First time I visited Rome it was in 2008 in a power tour of Italy including the romantic Venice, the full of art Florence and Rome. Loved it so much that I promised I would return soon despite my long time plan to never return to the same city twice :p.
In 2011 I returned to Rome for three days of freedom. May is the perfect time to visit Rome. Summer months (and especially August) are very hot and winter…well when you are a bit cold nothing feels so special anymore :). In May the weather is just as it should be, 24 degrees Celsius just enough to enjoy the sun on a nice small Italian terrace but not too much so you start sweating. Too much for an introduction so let’s get down to business. If you are in Rome for three days here are some places you should not miss. 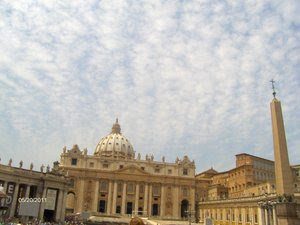 Vatican – small and nonetheless so overwhelming. Visit the Basilica Saint Peter – the biggest in the world – and watch the columns that embrace you from the entrance, the Swiss guards that keep the palace and the pontiff safe. You will see here many works of Bernini, one of the most famous sculptor of Rome the art of which is all around Rome (the Barberini fountain, the Four Rivers Fountain, Fonatana di Trevi, etc. 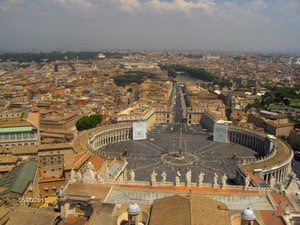 ), the amazing Michelangelo for which the human body had no secrets, Rafel Sanzio in love with nature…Definitely go up the Basilica, there are some stairs to walk to go up there (323 stairs) but the view is worth it! 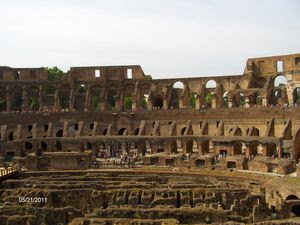 Colosseum – If you are passionate about history and everything there is to know about Roman life here is the place to start. Buy an audio guide or bring some information about the place so that you understand a bit what is nowadays in ruins. You will like the stories about the manner in which the Romans were sitting in different rows depending on their statute in the community and their wealth, the fact that elevators where in use at that time, tickets were sold and seats were numbered, plans for fire protection and evacuation in case of danger on different gates were observed, etc. Once you have seen the Colosseum move to the Roman forum to see ruins of the temples and Roman houses. Interesting to see is the Vestals Temple (the Vestals were virgins who dedicated there life to the gods and kept alive a flame inside the temple) and the Cloaca Maxima which represents a sewage system that Romans were using. Fontana di Trevi – Who amongst you has not seen the old time movies (like A Roman Holliday) where the main actors where just jumping in the Trevi Fountain. 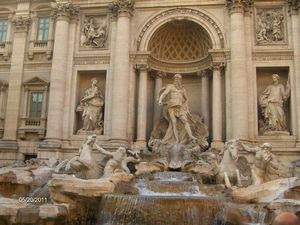 Fontana di Trevi is better in reality that you have seen in pictures. Is all the time surrounded by people who make noise, take pictures, throw coins or just sit down and relax drinking an espresso. Fontana di Trevi is the place to which I always come back to in my mind when I need to go to a quiet, safe and comfortable place. 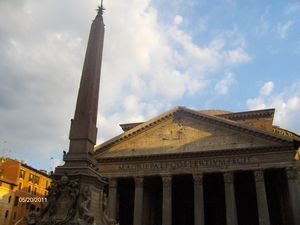 The Pantheon – Amazing building for lovers of architecture with its huge oculus and place of rest for Rafael Sanzio. The place offers cooler temperature and a place to hide from the sun and also a place where you feel extremely peaceful. 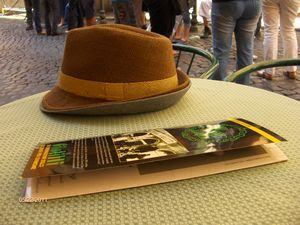 The square where the Pantheon is located is full with terraces and I do recommend you to sop for a beer and a pizza and just spend 2 or 3 hours to eat, drink and enjoy doing nothing at all. 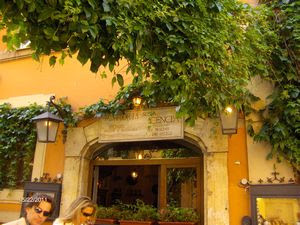 Here, near the Pantheon you will find the best espresso in the world. Just go on Via degli Orfani to Tazza D’oro and you will not regret it! 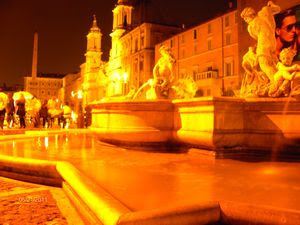 Piazza Navona – The square has the shape of a big vessel and was once the place where chariot competition took place. 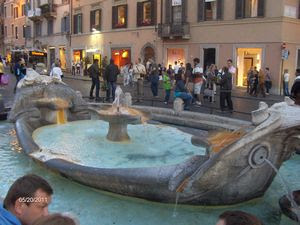 It is now the place where you can enjoy the fountains and the street artists. Take a pizza and a Nastro Azzurro and make sure you eat gelato (ice cream). This is a place to sit around and breathe in what Italians call “la dolce vita” or “dolce far niente”. 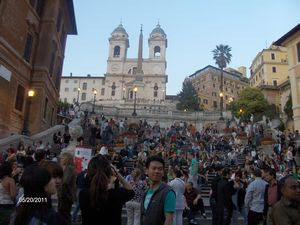 Piazza di Spagna – This is the place to relax on stairs and enjoy the rumor of the street after you have walked down Via del Corso and spent an afternoon shopping. Walk up to Trinita del Monti for a better view of the square and La Barccacia – designed by Bernini and his father to resemble a sinking ship. 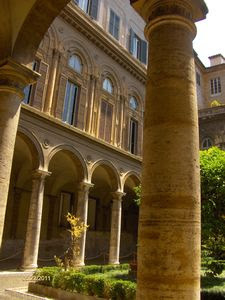 I like to say that in Rome history and the art have left the buildings and moved into the streets because if you walk down the streets of Rome you will find art and history at every corner. If you wish to leave the streets and hide a bit from the sun do not miss the Doria Pamphilj Gallery and the Borghese Gallery. Both the homes of wealthy families are now the home of great painters and sculptors. A tip for Borghese Gallery, make sure you call prior to your arrival in Rome and book a time to visit because it’s only done on pre-booking. For Doria take the audio guide; you pay some extra euro but the story of the gallery is told by one of the descendents of the family and is unique. Monumento Nazionale a Vittorio Emanuele II – This is the monument you will see from many spots in Rome and if you have heard the expression “all roads lead to Rome” than from what I can tell in Rome “all roads lead to Vittorio”. The monument is often called the typing machine or the wedding cake because of its shape. I’ve seen one similar in Vienna. Ok. I bored you with all the details about places to visit let’s point out some other interesting stuff. 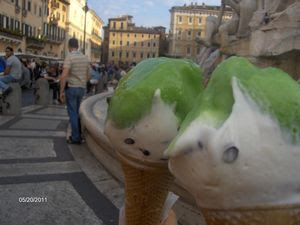 For the best ice cream you ever eaten go to Giolitti http://www.giolitti.it/home.html . For coffee go to Tazza D’oro and forget about everything else; if you are an addict don’t think you will find here big cups of coffee, this city is all about espresso http://www.tazzadorocoffeeshop.com. For food do not go for pastas unless the restaurant is very good. Try instead the pizza. 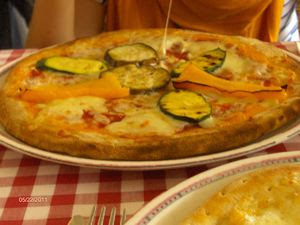 I know everybody complains that is not that good but I for one love the pizza con tonno because they make it without onions and with tomato sauce. 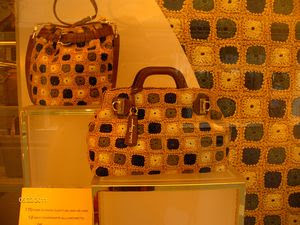 For shopping go to Via del Corso but make sure you have money to spend because the streets have medium budget shops but also high life shops. For views go up the Vatican.For small streets and street life go in Trastevere. For souvenirs just walk the streets between Trevi and the Pantheon. Make sure you buy one of the black and white pictures with Audrey Hepburn or Marilyn Monroe or one of the colored pictures with Vestas motorbikes – they will make your life better once you get back to the real life. 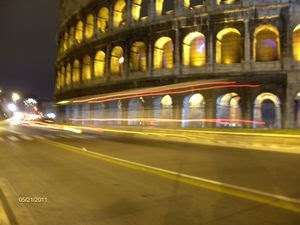 For night views go to the Collosseum, to Fontana di Trevi and to Vitttorio. Watch out for weddings you will see a couple of them. For movie addicts go down Via Venetto to see the plaque dedicated to Federico Fellini. Here you will come across lots of fancy and expensive hotels and terraces. If you have the time and you go with a bigger crowd try visiting Cinecitta Studios. 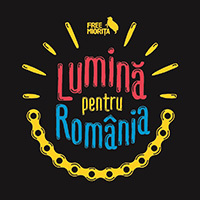 Finally, for young tourists I recommend Roma Pass – you have free access to transport means and free access to certain museums. For the Colosseum this magical pass will allow you to go in front by skipping the entire line. 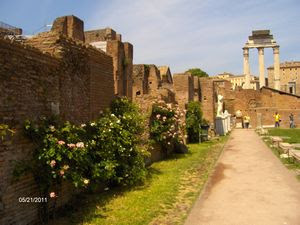 (10) walk on Via Sacra in the Roman Forum and imagine you lived in ancient Rome. And after all of the above who’s to say that Rome is not the city of art, food and love….